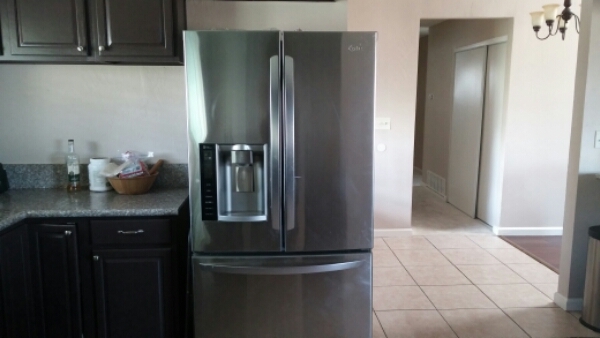 We provide affordable Chula Vista appliance repair service for all major home appliances. SDACC repairs all major home appliances such as washers, dryers, refrigerators, ovens, and dishwashers. Our repair service area covers Chula Vista, Bonita, National City, San Ysidro, and more. We also provide repair services in other parts of San Diego. 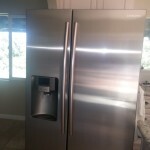 We are San Diego Appliance Contractor Co., and we provide affordable Chula Vista appliance repair in Chula Vista and surrounding areas. Schedule an appointment by calling 619-327-9501 or schedule an appointment online. Our service call fee is only $30 and is FREE with any repair service. All of our work is guaranteed for a year and our parts come with a 90 day warranty. If you live in Chula Vista, Bonita, San Ysidro, or the surrounding area and need appliance repair, give us a call at 619-327-9501 to schedule an appointment. 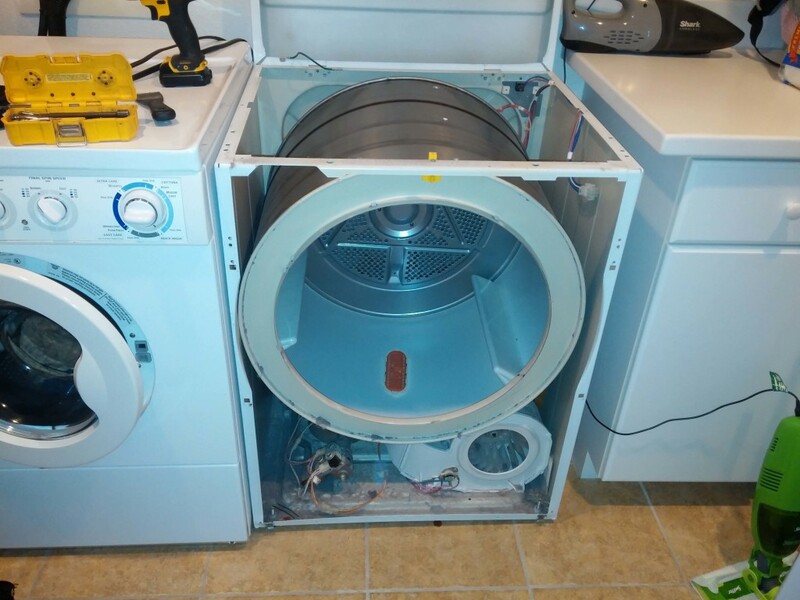 We repair all major home appliances including Washers, Dryers, Refrigerators, and much more. To schedule appliance repair in Chula Vista, call at 619-327-9501 or schedule an appointment online. We will call to confirm your appointment and details of your appliance. 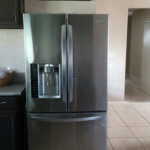 In this LG Refrigerator Ice Maker Repair we fix a side-by-side LG refrigerator with a door-mounted ice maker. Door mounted ice makers are very convenient refrigerator feature. Although, if the ice maker starts to leak, it can become a hassle very fast. 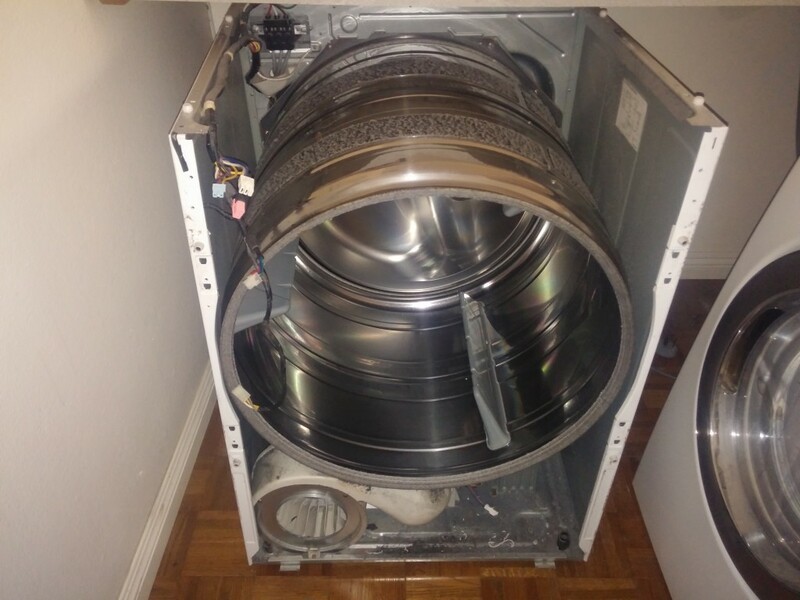 We repair all Samsung appliances including washers and clothes dryers. The clothes dryer repair in Chula Vista had a failed heating element. A dryer’s heating element is a coil that heats up when large amounts of electricity are passed through it. If the coil gets too hot it can burn out. 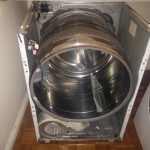 This appliance repair begins by disconnecting and removing the top and front of the dryer. We now have access to the inside of the machine.